Starting on December 14, I will be a part of a pair of blog tours running until Christmas. One group will be offering giveaways of Fantasy/Paranormal novels, the other (of which I am a part) will be for romance/suspense novels. I will post the stops on the tour below. Each and every blog is offering some sort of giveaway. Each blog will be providing me with a post on their day, so you can enter each Romance/Suspense giveaway here on The Editor’s Note with links to the giveaways, but be sure to check out the other blogs as well, all of the books featured on the tour are clean reads, meaning no swearing, violence, or blatant sexual content. 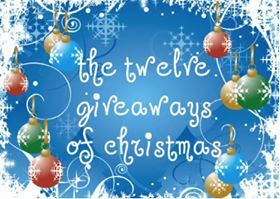 If you miss any of them, you can drop by here and click the Twelve Giveaways of Christmas tag to find them all. I will add links to the other blogs as soon as I get them. Don’t forget to follow so you don’t miss out! Here is the list, be sure to follow my blog if you don’t want to miss any of the giveaways! The 12 Giveaways of Christmas is coming! Find your next great adventure in a book!